In NYC, $22 million dollars gets you a beautifully renovated one-family townhouse in the West Village which makes living in NY a special experience indeed. In the Hudson Valley take a look what you get! 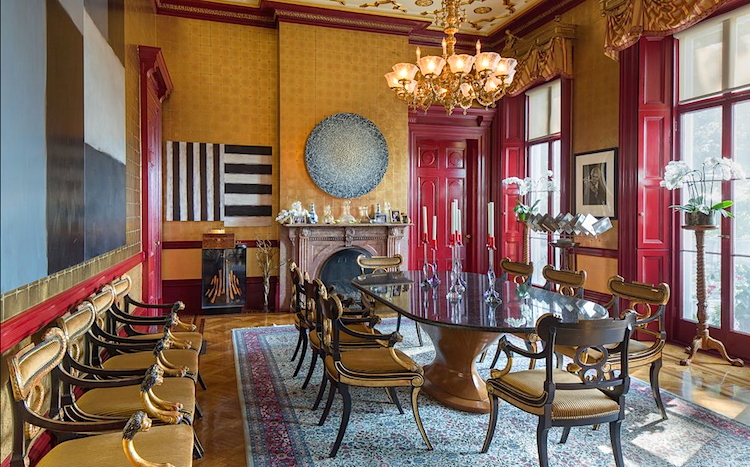 NYC townhouse - or Red Hook Manor? You decide. 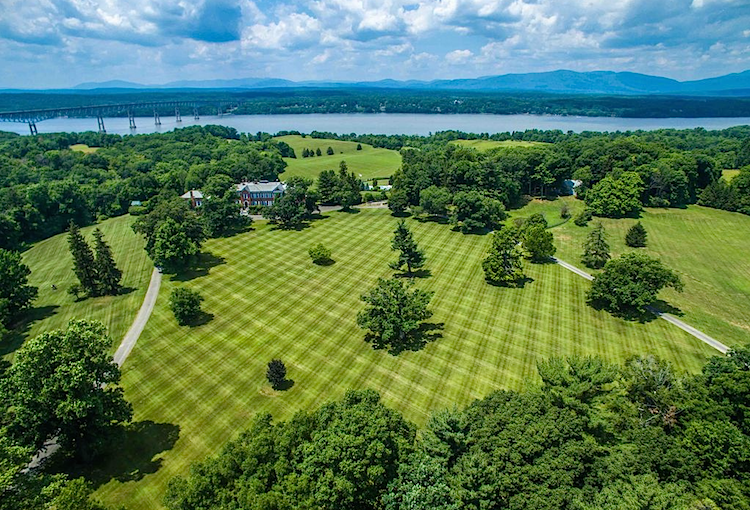 One of the most important estates in the Hudson River Valley, in an incomparable setting with over 289 breathtaking acres and dramatic vistas of the Hudson River, this 16,000 square foot Georgian manor features a level of museum-quality details and luxury amenities rarely attained. 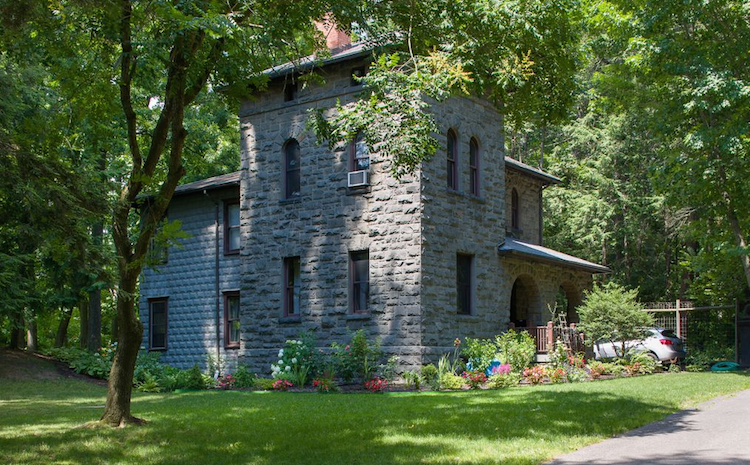 Steeped in a storybook provenance, it was originally built in 1851 as the home for Franklin Hughes Delano and his wife, Laura Astor Delano on land received as a wedding gift from part of the Astors Rokeby estate. 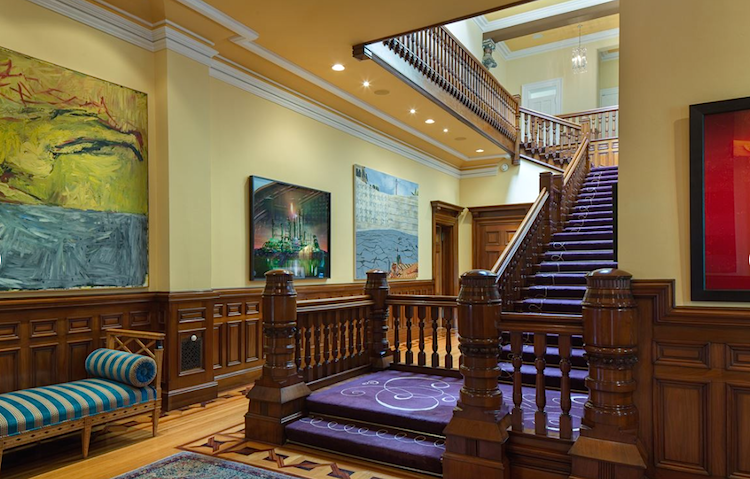 Two additional wings were added in the late 1800s to complete the grandeur of this magnificent residence. 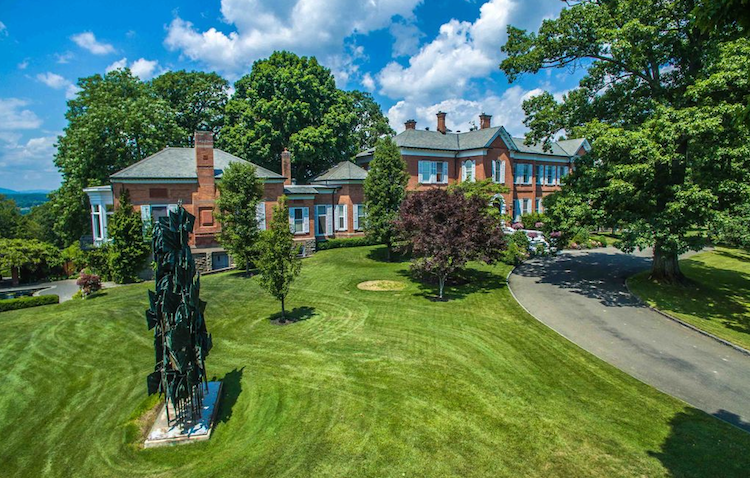 Today, the estate encompasses an impressive array of entertaining amenities and outbuildings featuring a Greek Temple-inspired pool house with a sparkling pool and adjacent tennis court, a three bedroom guest house, a three bedroom farmhouse, a stone gatehouse, carriage house with storage and two second floor apartments, a charming 2 bedroom Victorian gardeners cottage, and commercial grade greenhouse. 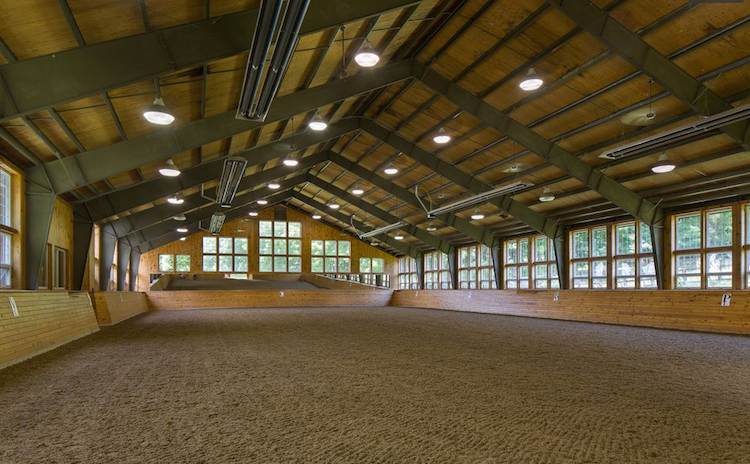 Impressive equestrian facilities include an eight stall barn with office, full bath, tack room, feed room, heated indoor ring with man-made footing, and an outdoor dressage ring with GGT footing. Inside the magnificent manor, the irreplaceable details include a grand staircase with a painted arts and crafts motif cove ceiling encasing a dramatic skylight, a mahogany paneled office with ornate ceiling mural and carved fireplace, a large-scale dining room with gold leaf tracery ceiling and complementing gold leaf walls, and a series of magnificently appointed rooms enfilade, featuring Minton tiled floors, culminating in a breathtaking sitting room with balcony overlooking formal walled gardens. The residence includes 6 bedrooms and baths, including a first-floor staff wing and a privately-set second-floor guest wing. The lower level features a glass-enclosed wine cellar and tasting room with capacity for 5,000 bottles for the collector. Outside, the manicured grounds will take your breath away. 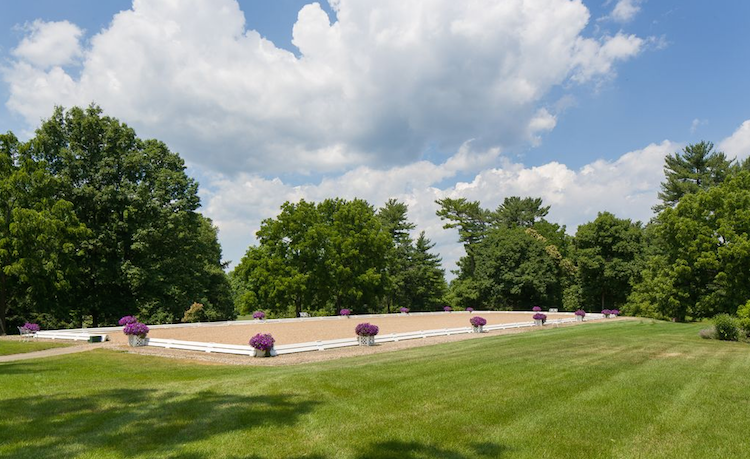 With a total of 289 acres, the idyllic setting, reminiscent of London's Hyde Park, features sweeping irrigated lawns dotted with specimen trees and surrounded by light woodlands. 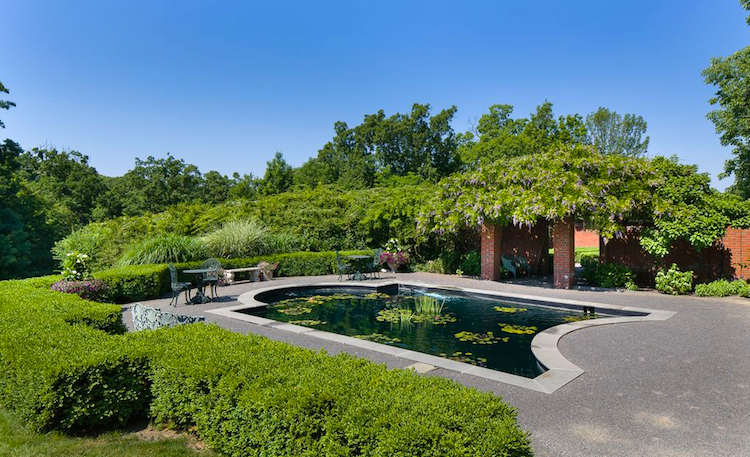 The formal walled gardens include a terraced boxwood garden, a serene koi pond with fountains, complemented by a wisteria covered pergola and bordered by a colorful perennial garden. 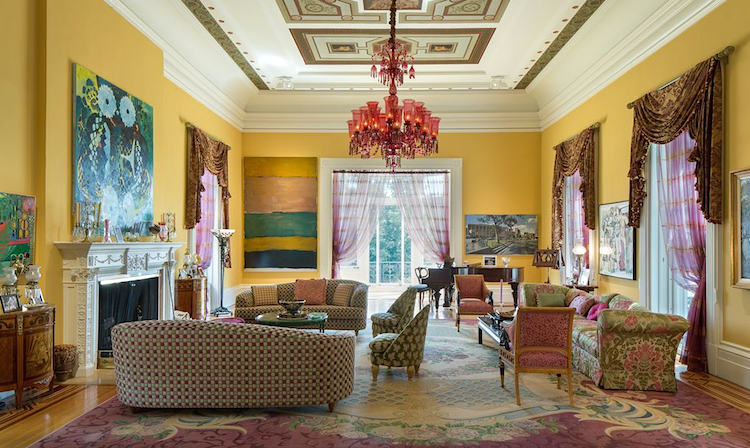 Unrivaled and unequaled in every detail, including airport service only 15 minutes away, Atalanta is an unforgettable estate for grand living magically set on the banks of the Hudson River. 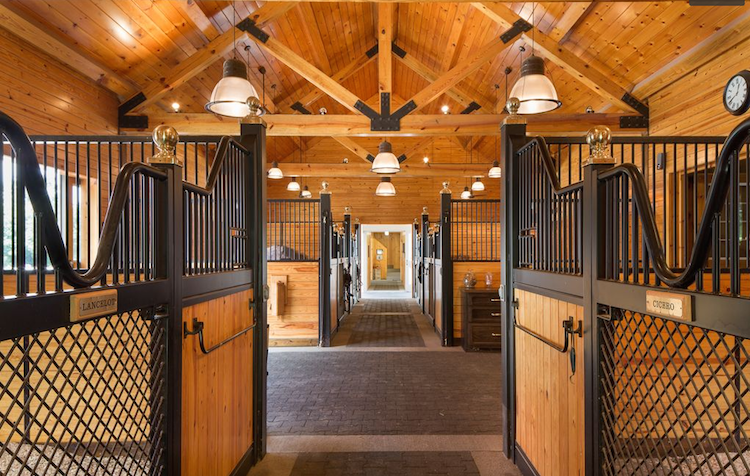 Give us a call for a private viewing of this spectacular estate. If you're in the market for premiere real estate, visit our website and search our Platinum Properties for access to the finest estates on the market today. 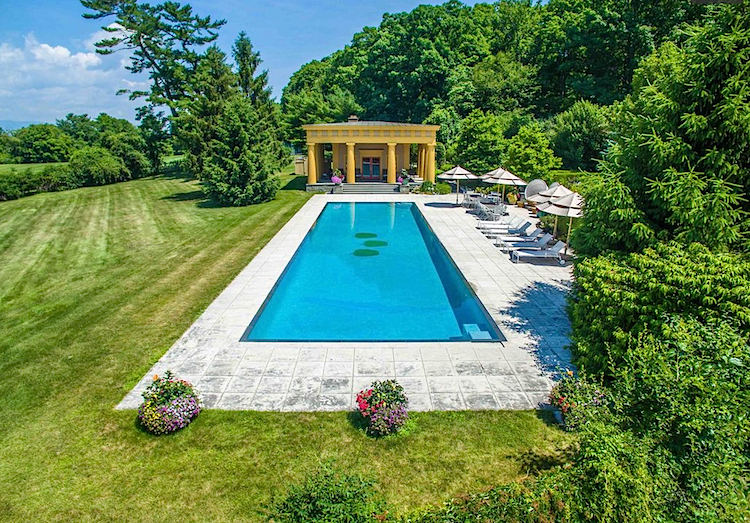 Our list of luxury homes for sale in the Hudson Valley enables our elite clientele to search and browse unique properties.